If your organization has security issues such as an active shooter concerns, Countering Violent Extremism (CVE), or workplace violence – then this is the training for you! In many cases, there is no pattern or method to the selection of victims by an active shooter, and these situations are by their very nature unpredictable and evolve quickly. Outside Law Enforcement response may be too late. Even if you already have a security team/defensive reaction team, staffed with former law enforcement officers, military personnel or CCW holders, have they worked together with live fire tactics as a team? Are they practicing these movement, engagement and communication skills routinely? Have they been trained to make judgment decisions in an adrenalin state of mind, with life or death consequences? Are they current in “Judgment Situation” training? What are their firearms qualifications? Does your organization incorporate “Less Lethal” options? These and many more questions must be addressed in any plan your group develops; and we can help you put that plan in place! Our DRT Training provides the knowledge, and skills necessary to function as a team, and the exposure to live fire team tactics while doing it. Your team will receive extensive firearms and tactics training. Proper training is crucial for your DRT members to be able to support each other to stop the threat, while minimizing potential injuries to themselves and to those they are supposed to protect. We offer a 2 day skills check for existing teams, as well as 3, 4, & 5 day initial team setup courses that are tailored to meet the needs of your team. This is NOT a beginner’s firearms or personal protection class. Attendees are expected to have well developed weapons skills. If needed, we are available to assist your team in improving their skill sets to enable them to get the maximum benefit from this course. Pre-screening of skills will be discussed during initial contact. 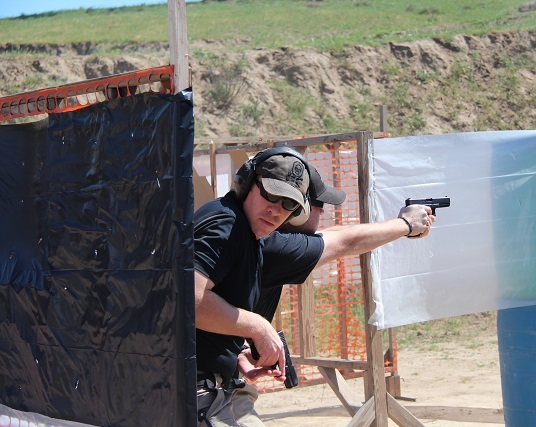 We offer a variety of firearms training as well as specific tailored training to help your team succeed. Contact us to schedule your Team or Individual training. 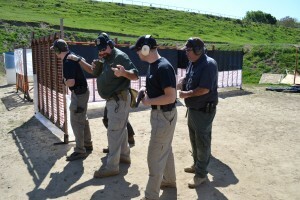 Our DRT Trainers are all nationally certified firearms instructors and retired Law Enforcement or Military Instructors. Classes are tailored around your schedule and your facility. Each training day is typically 8-hours. Pricing starts at $1000.00 per day for up to a 6 person team, including take away materials. Each additional person is $500.00 each. The training will be done at your location and at one of our many ranges located around the central California area. All training is within a resonable driving distance allowing commuting to class, range, and your facility, however lodging information is available. With classes in the foothills around historic Mariposa, there is plenty of family activities for your family.